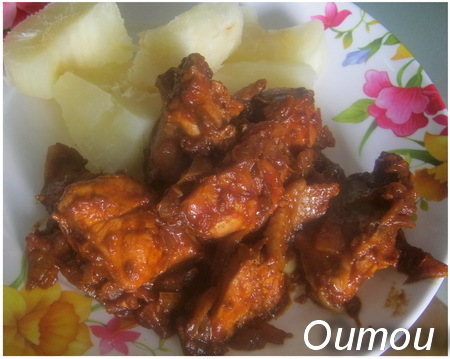 From a list of many central African dishes that I know, this chicken in cumin sauce is one of my favorite. 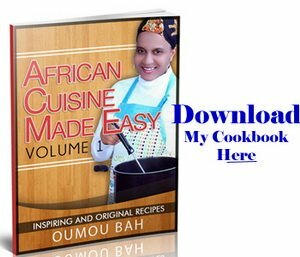 It is very easy to make and you can serve with rice, fufu or boiled cassava. Heat your saucepan and add all the ingredients except the chicken. Stir all together and let simmer at very low heat for 15 min. Keep watching and stir regularly. Next stir in the chicken and let simmer at very low heat for 20 more min or until the chicken is tender while stirring occasionally. When ready serve with fufu or rice. I usually serve with boiled cassava.